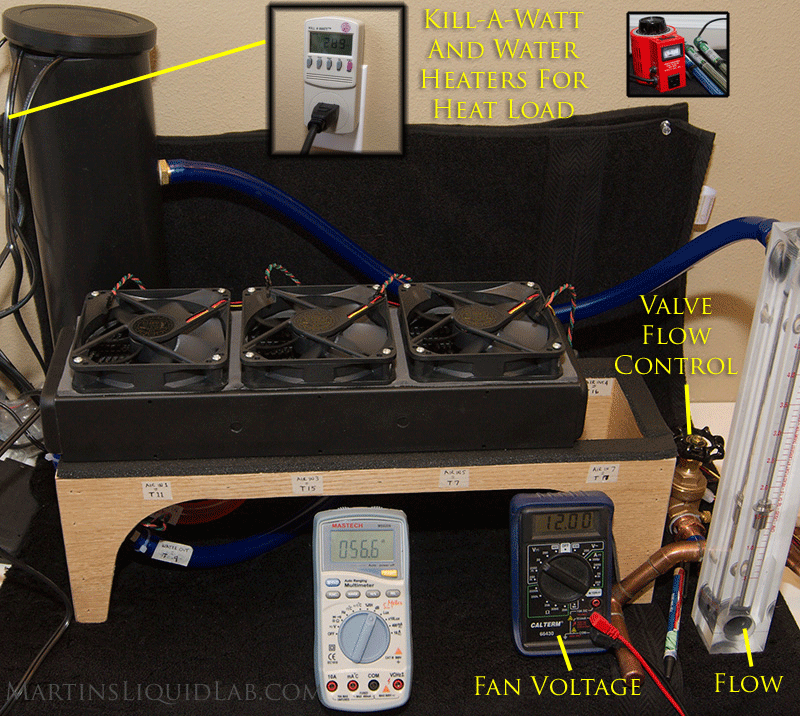 Rather than continue to copy and past the same testing specifications and clutter other pages, I've decided to detail out my method for testing radiators here. 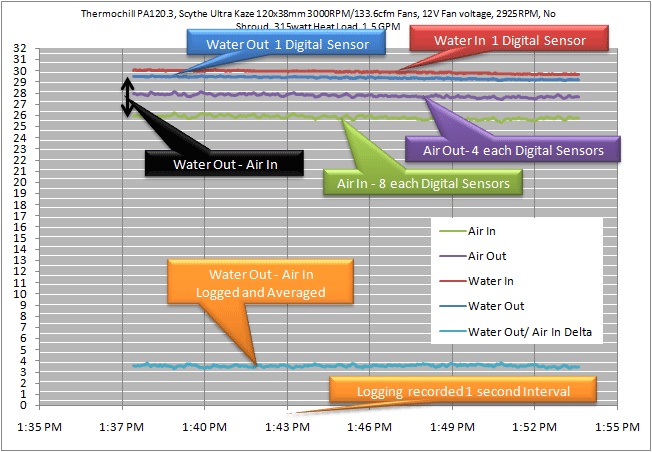 4 each air outlet sensors, 1 for each 120mm fan section (1-2 sensors are used for every fan section of radiator). 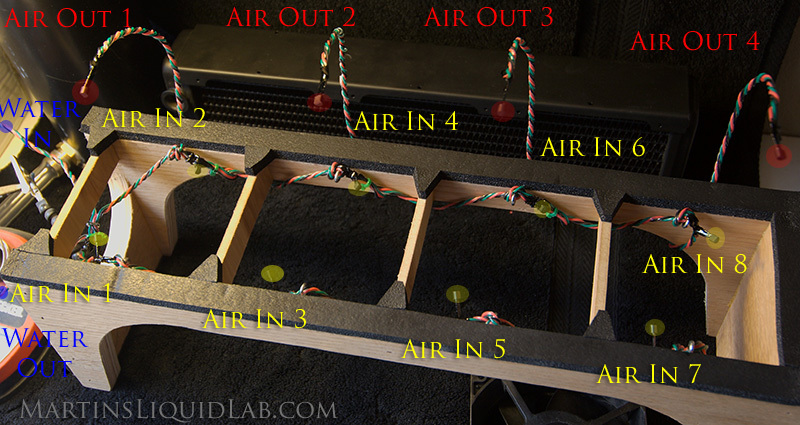 Warm-up - Each fan configuration is allowed to reach temperature for 30-45 minutes until equilibrium is met. This is determined by recording and logging of temperatures for at least 1 hour and only averaging the results that are found after equilibrium is obtained. Warm-up - Each fan configuration is allowed to reach temperature for 30 minutes minimum prior to recording and logging of temperatures. I found that it takes around 15minutes to reach equilibrium when deltas are in the 5C range, and up to 45minutes for deltas of 15C. The following sponsors made my testing possibly by donating various parts, fans, and radiators for testing. Please visit their sites in appreciation, thanks!